In late March, Tenjing “Tenji” Sherpa wrote on his Facebook page “Happy 4th months Birthday to my little princess, Chhenzum. Sometimes when I need a miracle, I look into my daughter’s eyes and I realize I’ve already created one.” The Sherpa wished for a miracle one year ago, almost to the day, when he was told that Ueli Steck had fallen to his death. He and Ueli Steck had formed an unlikely alliance that grew into a deep friendship based on mutual respect. The world-class, almost superhuman, Steck wanted to make his mark on Everest by climbing the West Ridge, to the summit then traversing to the world’s fourth highest peak, Lhotse at 27,940 feet in one long push. 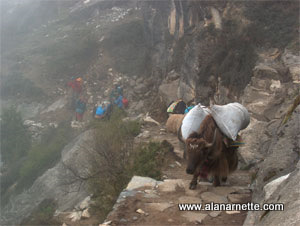 Since 2012 when Steck climbed in the Himalayan, he had used Tenji’s brother’s company Royal Orchard Treks for logistics. 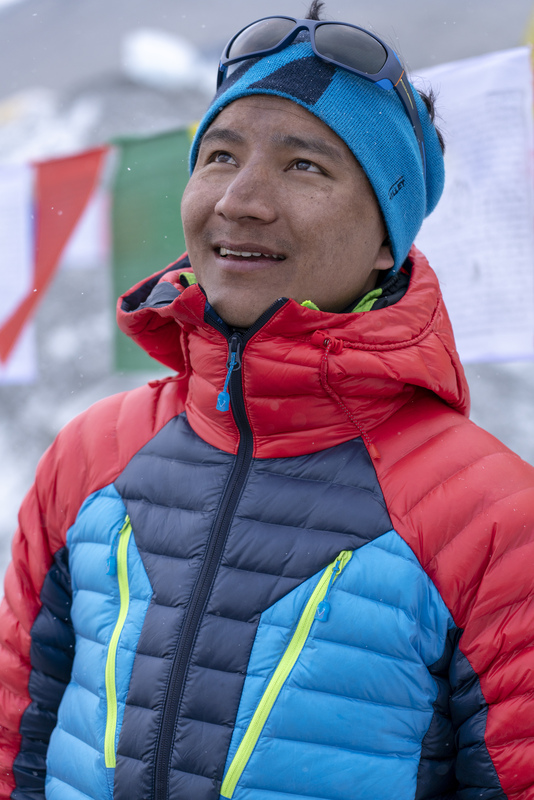 The young Sherpa caught a break of a lifetime when Steck invited him to join an Everest summit attempt. Steck soon became a mentor that climbers could only dream of. The next year, along with Italian climber Simone Moro and British photographer Jonathan Griffith, the team wanted to attempt the Everest-Lhotse traverse but an argument at 22,000 feet with a team of Sherpa who were installing the safety line for commercial members ended that project and generated global headlines with a brawl at Camp 2. 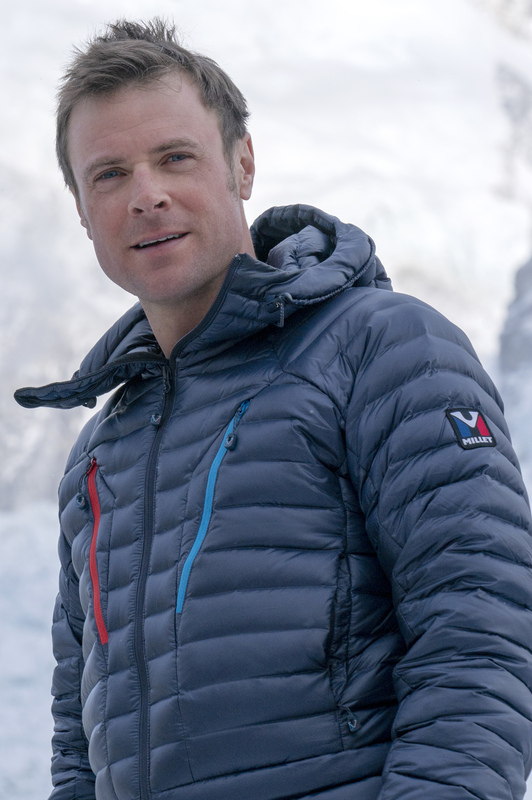 At one point Steck feared for his life as Sherpas threw rocks at his tent and punched his face. Five days later, Steck fell 3,000 feet down the North Face of Nuptse Peak, only a mile away from the summit of Everest. Why he fell remains a mystery to this day. Perhaps it was rockfall, he misplaced a step or made a simple mistake, no matter the reason, Steck’s death shook the climbing world but also his friends, especially Tenji and Griffith, to their core. Griffith will be climbing with supplemental oxygen and live streaming Tenji’s no O’s climb. Griffith says it’s a complicated setup which is why it took two years to get to this point. The live streaming involves capturing the ascent in Virtual Reality which will use a pretty massive ’17 camera’ camera. He says that shooting in VR requires everyone to clear the surrounding area to avoid being in the shot. They will set the camera on a tripod, then the 360 audio up, hit record, and run out of the way! Tenji will then pass by and the camera team will run back to the rig and pack it away only to then catch up with Tenji and move ahead of him to set up the next shot. He says its like interval training at altitude. Since Tenji is not using bottled O2 they will have to work around his speed. If he goes too slowly or stops, he’ll risk frostbite. For Griffith, this project invokes a series of complicated mixed emotions as he said it took over his life for the last two years and given that it is still so “Ueli focused” that he feels like he is in touch with him every day. He says he still talks about Ueli often with members in relation to this project. They expect to begin the summit climb around May 20th. The Live Stream will be on Griffith’s social media channels, Instagram, Twitter, Facebook and on the National Geographic Channels. Also on Tenji’s Facebook. These are a few of the images Jon has taken during the first two weeks of the expedition. Can’t wait to see it! Horia Colibasanu and Peter Hamor are also attempting the Everest-Lhotse traverse via the (more) harsh west ridge without sherpas and artificial oxygen. I hope they all succed! Yes, I asked Jon about going with them, and as you note they are starting with the WR and he and Tenji wish the success. Perfect! Thank you for the confirmation.